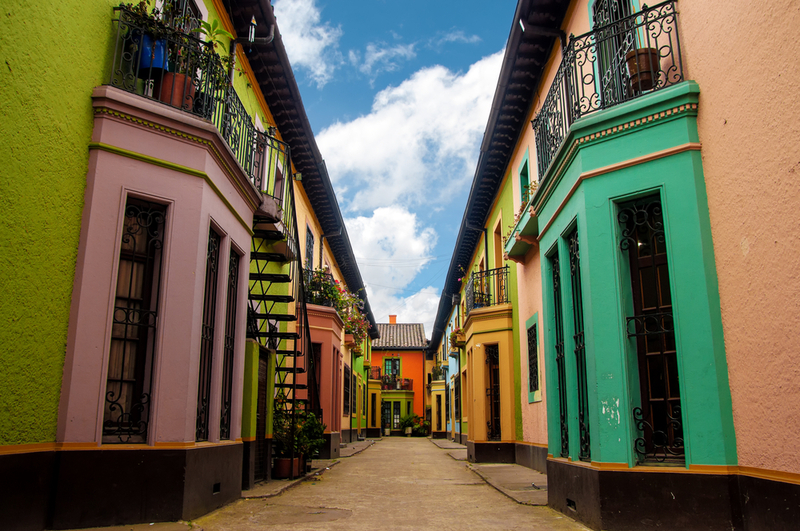 Our deal hunters were looking for nice South America destinations and have found a Spirit Airlines cheap flights to Bogota for $431 r/t – including taxes. You have to fly from Los Angeles in this September and you can save nearly $100 with the airline compared to other companies. You can book Bogota cheap flights both on Expedia and Cheapoair, but we have found it while searching on Travelgrove. Do not forget to check the other merchants as well, who knows, someone might have an even better offer then the one we have found! Check below the screenshot we took about the offer and you will see that your flight departs from Los ANgeles International Airport (LAX) on September 15 and flies back on September 22 from El Dorado International Airport (BOG). The flight has one stop each way, both times in Fort Lauderdale, first for 5 hours 38 minutes, then for 2 hours 29 minutes. Also, Spirit Airlines Free Spirit, the airline’s frequent flyer program will also give you 7,734 award miles for booking this fare. 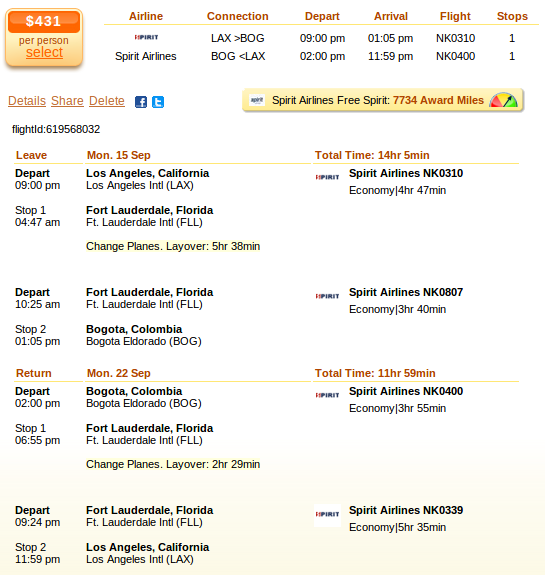 Spirit AIrlines beats all the other airlines on this route with a ticket for $431 r/t. The next best offer by United Airlines is $96 more expensive, it costs $527 r/t. Take a look at the table and see for yourself with whom you should travel!